This beautifully remodeled home has honey colored hardwood floors throughout, double sided fireplace and tons of natural light. It is just blocks from the Metro line, shopping and parks. The lot is nearly 9K square feet and the property is zoned R2 so you can build another unit for income or a dwelling for your guests. There is a spacious driveway that can fit 5 cars and there is a two car detached garage with separate storage room. What a great investment! This charming renovation will impress you from the moment you walk in. Fresh paint throughout the home and brand new laminate floors.Open floor plan with all new kitchen, including granite counter tops, new stove top, hood and dishwasher. Recessed lighting and new window coverings. 3 Spacious bedrooms with tons of natural light. Two full bathrooms; master bath is updated including heated flooring and built-in audio system. 2-car attached garage with laundry hook-ups and a large yard for year-round entertaining. 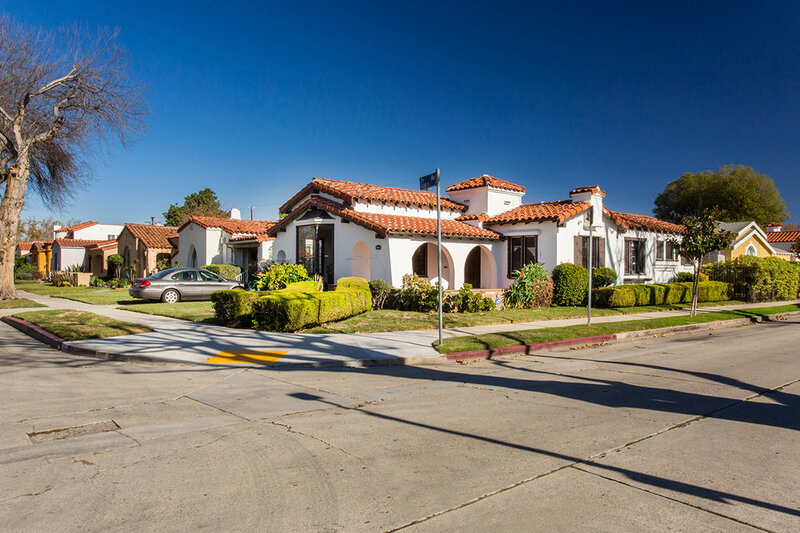 This is a perfect location in the South Bay area, adjacent to restaurants, shopping, and the 105 freeway. The owner has put lots of love into the property. Pets are welcome with pet deposit. Great downstairs unit in a triplex building. This unit sports a fresh coat of white paint throughout with beautiful hardwood floors, granite counter tops, new blinds, and spacious bedroom. There is tons of cabinet space and a large closet. This unit is walking distance from the Forum and the new $2 Million dollar NFL football stadium and just minutes away from LAX and several shopping centres. There is also on-site parking and we are pet friendly! Spanish Duplex Fixer in the heart of LA!